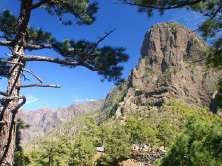 If you are planning your holidays to Gran Canaria the following information may help by giving you an overview on the island. 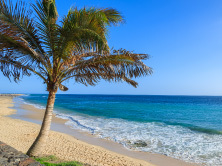 Most people take a holiday in Gran Canaria for its abundant sunshine and its golden beaches. 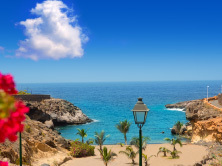 They head for the south and the guaranteed rain-free resorts such as Playa del Ingles, Maspalomas and Puerto Rico. Here, the pleasures of sun and rest and recreation often prove so seductive that some never set foot outside their resort except to catch the plane back home. Thus they miss the one essential characteristic of Gran Canaria holidays – diversity. 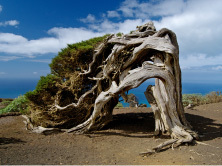 Gran Canaria is the third largest of the seven major Canary Islands – the largest are Tenerife and Fuerteventura. It is a circular, volcanic island which last erupted seriously about 3,000 years ago. The land comes steeply down from the high central peaks, with vast barrancos – dry water courses or ravines – running to the coast like the spokes of a wheel. On your Gran Canaria holidays you will find a variety of beaches to suit all tastes. 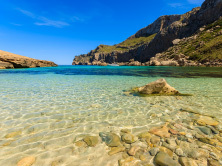 The more popular beaches can get very crowded, but if you are seeking a secluded spot, there’s enough sand on the coastline to give everyone their own bit of space. Playa del Ingles, in the south of Gran Canaria, is probably the most famous beach on the island and is also one of the busiest throughout the year. It stretches for nearly 3km and is lined with bars, restaurants, hotels and shops. 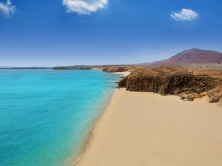 Adjoining this beach is Maspalomas – arguably the most beautiful on the island with fine white sand stretching for 6km. The beaches here are well served by bars, restaurants and sports centres, especially at Faro de Maspalomas. A little northwest along the coast, you will find the popular resort of Puerto Rico with its crescent shaped sandy beach and sports harbour. A more peaceful bay can be found west of Puerto Rico at Playa de los Amadores. Sunbeds are available for hire and there is a good selection of bars and restaurants behind the beach. A short way west is the fishing port of Puerto Mogan with its traffic tree village of local-style houses and narrow alleyways. This quiet resort has an excellent protected beach which is perfect if you have young children on your holidays to Gran Canaria. In the north of the island there is the wonderful beach of Playa de las Canteras which is to the west of the island’s capital – Las Palmas. 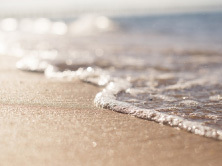 The beach is 3km of golden sand, flanked by a promenade. Spaniards love eating out, and Canarians are no exception. Given the number of visitors to Gran Canaria, it is no surprise that the island offers every kind of Spanish and European food. However, Canarian food is rather different: country cooking, revealing a deep love for the island’s own ingredients. Make an effort to sample the local cuisine at least once on your holidays to Gran Canaria. Top of the list and found everywhere are papas arrugadas [wrinkly potatoes]. These are small potatoes, boiled in their skins in water and coarse salt. They are eaten with a sauce called mojo. Mojo verde [green] is made with oil, vinegar, garlic, cumin, coriander and parsley. Mojo rojo [red] is with paprika instead of the coriander and parsley; and there is mojo picon, with a bracing dose of chilli. These dishes are also served with meat and fish. Other rustic dishes on the Gran Canarian menu include rabbit, usually served in stews, and hearty sancocho, a great favourite in bars and simple eateries. Sancocho consists of salt fish, usually in chunks, soaked and boiled, and served with papas arrugadas, mojo sauce and balls of gofio. As may be expected, fresh fish is served in many places, especially in fishing villages. Cheese is also produced in a number of villages, most notably queso de flor [flower cheese], a light goat cheese scented with artichoke flowers. Asparagus and avocados are grown in many areas of the island. 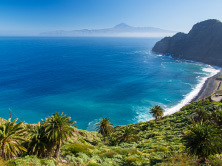 On an island where fruit is mostly tropical and sub-tropical – mangoes and papaya are common – the local fruit juice is well worth tasting; and Gran Canaria also boasts its own excellent mineral water. Of other drinks, wine is produced in small quantities, especially in the Bandamas area, around Santa Brigida. A number of bodegas are to be found in and around Monte de Lentiscal, and quality is said to be improving. In San Bartolome de Tirajana a local liquer called guindilla is made from the sour cherry. A lemon-flavoured liquor called mejunje is made in Santa Lucia. More popular across the island is local rum, Arehucas, made in Arucas on a base of sugar cane. Canarian workers are very inclined to take a short of it at breakfast time. Desserts will not be a culinary adventure on your Gran Canaria holidays. Apart from flan, a custard pudding popular throughout Spain, the local speciality is bienmesabe [“how good it tastes”], made from almonds and honey, it is often used as a sauce poured over ice cream. Nougat and marzipan are other local products. There are plenty of opportunities for some retail therapy while on holiday in Gran Canaria. LAS PALMAS : Shops are open from 10:00 to 13:30 or 14:00, and then from 16:30 to 20:00. The department store El Corte Ingles in Las Palmas on Avenida Mesa y Lopez, is open all day. If it is shopping centres you want, try Las Arenas at the west end of Las Canteras Beach in Las Palmas. On three levels, it caters for a wide range of tastes, from fashion to traditional gifts, from books to jewellery. There are plenty of restaurants plus sea views. The biggest centre is at La Ballena, 3km out of town on the road to Teror, complete with hydermarket and more than 100 shops. The best places to shop in Las Palmas are the streets around the Parque Santa Catalina and in the Triana district, particularly the pedestrianised Calle Mayor de Triana and the small streets off it. RESORT SHOPPING: Shopping can be bizarre experience if you are on holiday in the Gran Canaria southern resorts because, with the exception of Puerto de Mogan, the activity is concentrated in the giant shopping/restaurant/entertainment malls called centros comerciales, rather than in shops on streets. Nobody will be surprised if you bargain over the prices quoted for goods on sale in the centros comerciales. You can take the opportunity to haggle over items such as perfumes, leather goods, T-shirts, towels, clothes, electronic products, etc. Most of the ceramics sold on the island are made in the traditional manner and to traditional designs. These are generally simple objects of everyday use, like bowls, plates or jugs.